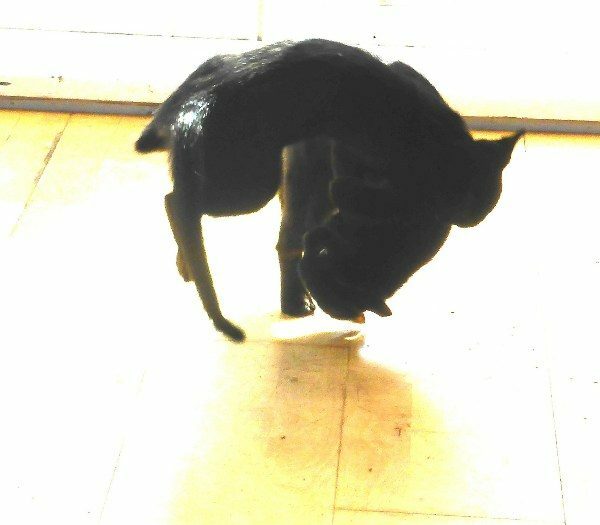 Most conflicts that arise between domestic cats result from competition for resources and status. 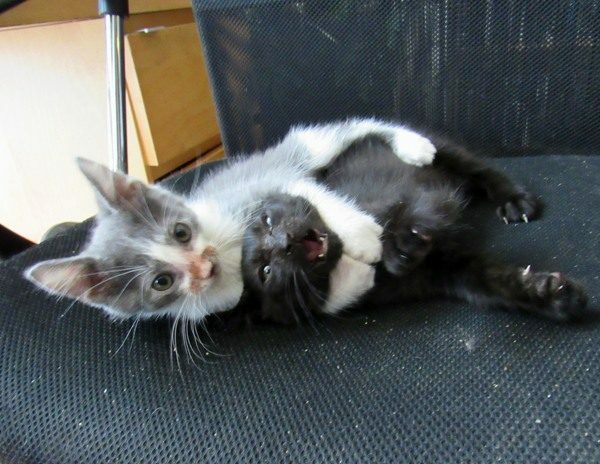 House cats may fight over everything from food to favourite sleeping spots to litter boxes to the general desire to be top cat. 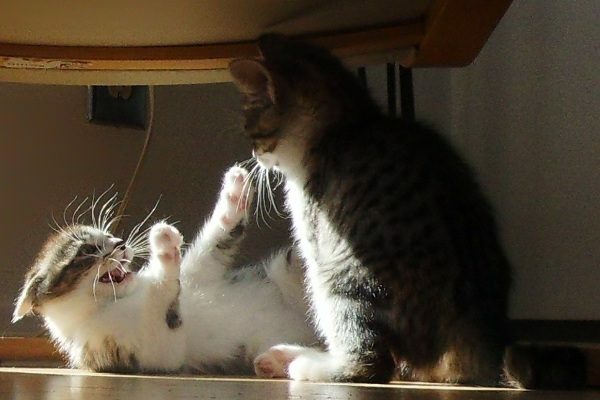 Conflicts are particularly likely to occur when a new cat is brought into a home with one or more resident cats. A cat goes away to the vet or a groomer and comes back with a different set of smells, leading one or more household cats to treat her as an interloping stranger because they don’t recognize her. 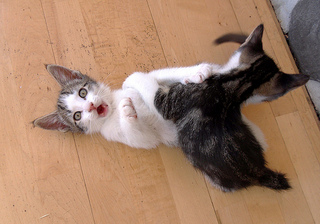 Don’t yell when catching two cats fighting – this can actually increase aggression and will also frighten the victim.